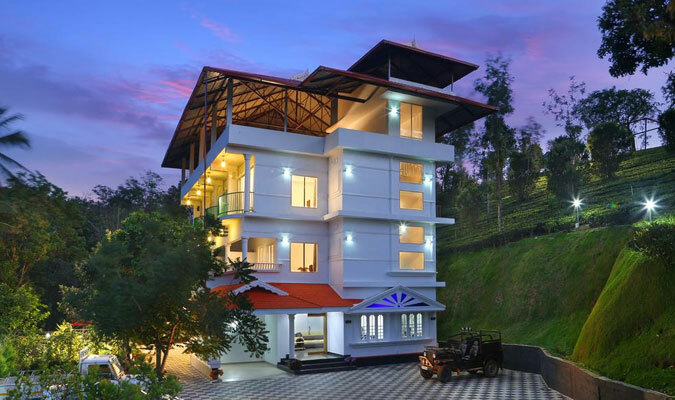 Voted as a 4-star luxury resort, Dream Catcher is one among the best stay options in Munnar. It is one of those ideal places where you can enjoy some serene moments with all luxuries. Settled away from the hustle-bustle of city life, the resort is put-up amidst 20 acres of tea, orange and cardamom farms. Serving you the world- class comfort, the resort comprises of total 15 rooms, to choose from. Out of which 11 are luxurious set and other 4 are tree house set. All the rooms are well-set with all basic necessities featuring a balcony too from where you can connect with nature in privacy and serenity. The tree house accommodation is perfect for honeymooners where they can enjoy some glorious isolation. Dream Catcher is a mélange of nature connectivity and modern comforts. The resort also has attractive dining section too. Guest can savor delicious dishes at the multi-cuisine restaurant. Apart from just supreme accommodations, the resort is also a hub for leisure trails as well. One can go on short plantation tours and adventure trips to the important tourist sites of Munnar such as Eravikulam National Park, Anamudi Peak and Devikulam. Guests can also indulge in hiking, trekking and bird watching. In order to make your stay comfortable, Dream Catcher’s resort comes up with gracefully designed 15 luxury rooms and tree houses which are fully equipped with all basic necessities. The rooms here fall in three categories as Superior Rooms, Deluxe Rooms and Tree house accommodation. As the name suggests, Superior Rooms are superior at their services. There are total four superior rooms which are amazingly designed as per modern tradition and boasts of spacious accommodation with a number of facilities. 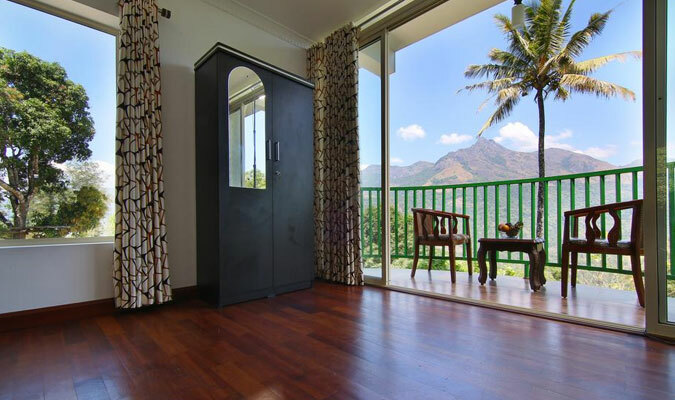 Step-out of your balcony to enjoy the awe-inspiring view of scenic surrounding of mountains and valleys. The in-room facilities that guests can enjoy at Superior rooms are 100% power backup, guest supplies, 24 hours hot/cold water, writing table and chair, television and intercom. There are seven deluxe rooms that serve you the utmost comfort. Well-facilitated with all modern comforts, all the rooms are luxuriously designed with a setting of garden view where you can sit, relax and feel the freshness of flower strewn gardens. Designed with elegant interiors, the in-room services offered at deluxe rooms are intercom, television, 100% power backup, 24 hours hot/cold water supply, en suite washrooms and other important guest supplies. Dream Catcher’s Tree House accommodation is like a wonderland for nature lovers and adventure enthusiasts. 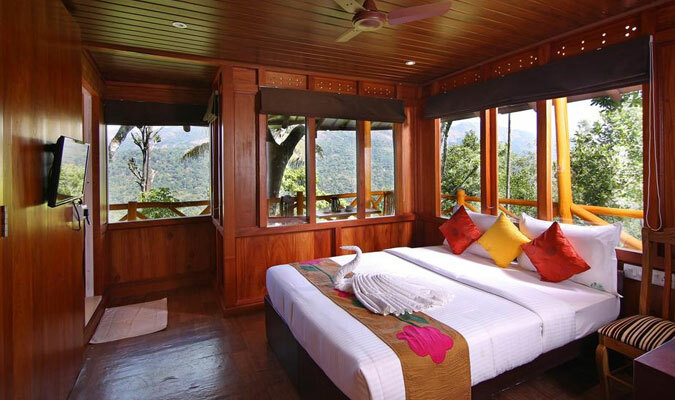 Settled amidst the dense plantation, around 60feet from the ground, the tree houses serve the guests with breathtaking panoramic views of picturesque surrounding. It is also a great place for newlywed couples where they can spend some quality time and make their stay more cherishing and memorable. There are total four tree houses and the in-room services that are provided here are 100% power backup, 24 hours hot/cold water supply, table and chair, intercom, television and well-maintained en suite washrooms. The tree house also features a balcony, from where you can adore the natural beauty of the place. Savor delectable cuisines at Multi-cuisine restaurant at Dream Catcher Resort, Munnar. Guests can order food according to their own preference. There are also arrangements for barbecued dishes served from burning hot bon fire.